Custom Brand – These are the large, well known high-end bike brands that are commonly referred to as custom even though the majority of their production has very limited or no actual custom element in the frame. Their custom refers most often to parts, which may be custom selected depending on the dealer. Examples would be DeRosa, Colnalgo, and Litespeed. 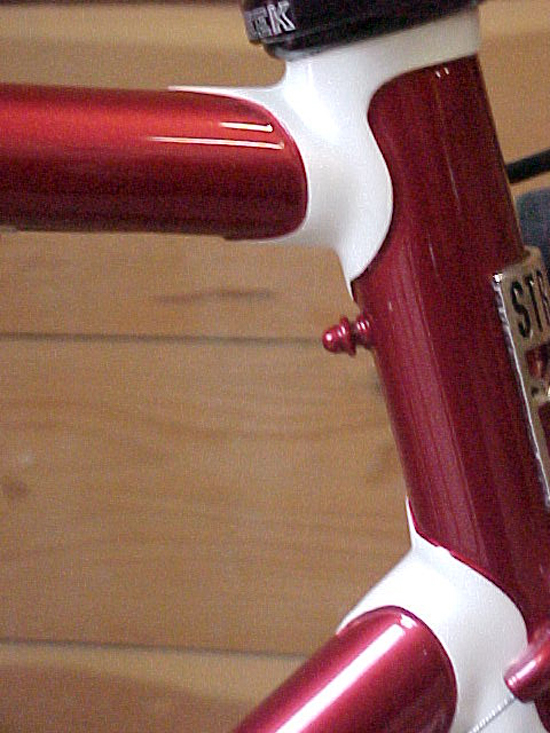 Custom Manufacturer – Custom manufacturers are smaller companies that sell through bike shops. 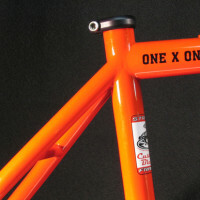 They do offer custom frames, but you have little to no direct contact with the company and no one person builds your frame. 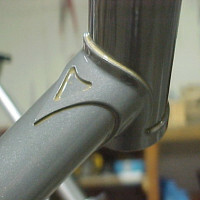 Examples are Independent Fabrication, Serotta, and Seven. Small Custom Builder – A small custom builder can best be described as a one – or two-person shop. The frame is built for you specifically and you deal directly with the person that will be fabricating it. 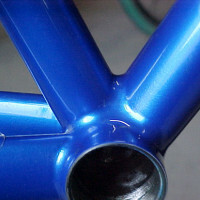 This guide is intended for those that have decided to go directly to a Small Custom Frame Builder. Choosing a builder may feel overwhelming. It’s mind-boggling how many small custom builders there are. It seems that in the last four our five years, the decision is becoming even more difficult. Builders are coming out of the woodwork. Thanks to the Internet, anyone with a logo, a buddy that does websites, and a good painter can look and feel like a “real” frame builder, even though they may have only a couple dozen frames under their belt. Here is a little guide to help you muddle through the process of choosing a builder: Rather than trying to pick a builder out of the many choices, it’s easiest to start by eliminating builders that don’t fit your needs. Decide what type of frame you want. Is it going to be a road bike, cyclocross, touring or mountain bike? If it’s an mountain bike, is it going to be a single speed or 29er? Once you have decided, you can eliminate all the builders that don’t build those types of frames. 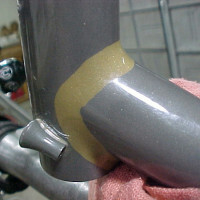 Brazing and TIG welding are of equivalent practical value. They both have the same strength and durability as long as a builder with experience does them correctly. The choice is aesthetic and monetary. 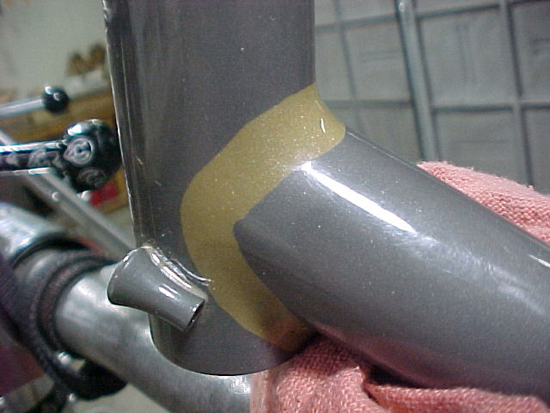 Brazed frames are more expensive than TIG welded because they require more finish work (and in the case of lugged frames, more prep work). TIG welded frames take less time to build and are typically a bit less expensive as a result. 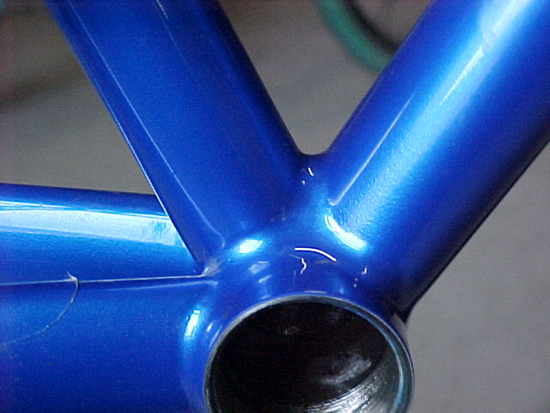 Lugged frames are usually restricted to certain frame types because the lugs are only available in certain socket sizes and angles. 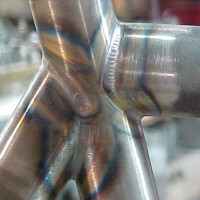 TIG welded and Fillet brazed have infinite flexibility, and titanium and aluminum can only be TIG welded. 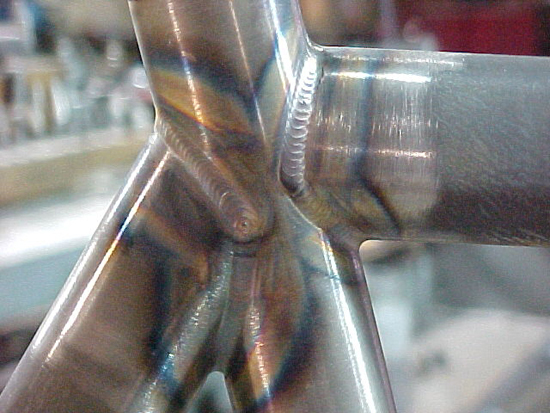 So if the frame you want is aluminum or titanium, you can eliminate all the brazed construction builders; if you want classic lugged steel, you can eliminate all the TIG builders. Here are some images of the different types of joints to compare (all are steel). Budget is your next decision. 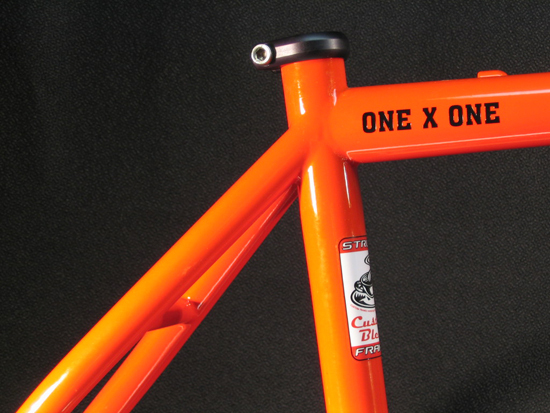 Within each category, custom frame prices can cover a wide range. You really get what you pay for with custom frames. Typically, less experienced frame builders will enter the market at a low price in order to build their brand and keep enough work flowing through their business to stay busy and get practice. Less experienced builders may also have a “real job” and are building part-time on weekends and evenings from home. More experienced builders work full-time during business hours, have enough work to stay busy, and charge what they need in order to earn a living and stay in business. While there are a lot of good frame builders in the market, there are only a couple dozen that can really be considered “Top Pros”. So what is the practical difference to you, the paying customer? What do you get for your money? First is quality design. More experienced builders have sold, designed, and built thousands of frames. They have seen almost every type of situation and know what it takes to fit and select the appropriate geometry and tubes to produce exactly the quality you want in your frame. They can help you understand your priorities and help make choices in case of trade-offs. In this department, there is absolutely no substitute for experience. The second area that affects the higher price of more experienced builders is the quality of construction. 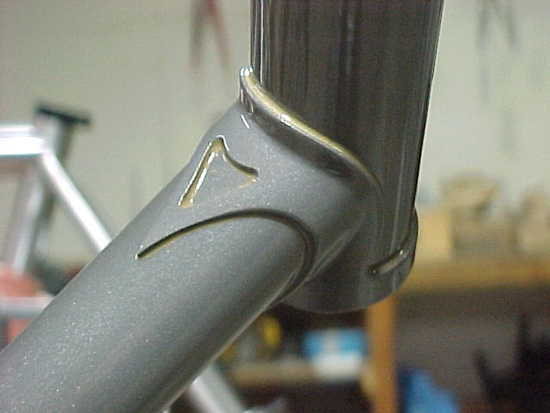 Frame building is an art and a craft. 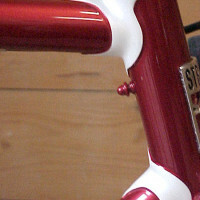 The experienced frame builder understands the nuances that can only be learned through years of practice. Once a frame is covered with a pretty paint job, you may not be able to see the elements that set apart a frame built by top builders from those built by less experienced builders. Aside from design, experienced builders get the specs right—their joining is flawless without any overheating or distortion and they don’t depend on cold-setting (bending) a frame to achieve final alignment. Experienced builders do not depend on hours of finish work to clean up the frame and make it look good. They don’t depend on the painter to cover their workmanship. This means a frame that is straight, accurate, beautiful and will last a lifetime. Another important distinction of an established pro builder is fiscal stability. An experienced builder will be there in the long run if you need them. If there is a problem, they have the means to address it. They also carry liability insurance, which is very costly and something a lot of part-time and new builders cannot afford. Now you’ve eliminated all the builders that don’t build the type of frame you want. You’ve eliminated the builders who don’t do the construction method you want. You’ve also eliminated the builders that are not in your price category. By now, you should be left with about a half dozen builders. Ask questions, ask about the frame you want, ask about their philosophy ask why you should pick them, ask if they offer a guarantee. Are they insured? How long have they been in business or how many frames have they made? Once you’ve asked all the questions you can think of, it’s time to distinguish between them for more subjective reasons. Who do you feel comfortable with? Who is listening to you and understands what you’re looking for? Do you feel confident with them? Are they organized, accessible, and responsive? Do you like their style? These are qualities you want to consider. Typically, you’ll like one or two more than the rest. If it’s down to one, your choice is made. If it’s two, keep asking questions. Once you’ve made your choice, it’s time to take the plunge. Making the commitment is the hardest part, but there is no way around it. If you’re going to make the purchase, you’ll have to make the commitment and pay the deposit. From that point forward, the builder will lead you through the process (see the Strong Frames order process here). Once the choice is made, it’s easy. When all is said and done, you’ll have a bike that is unique to you and exactly what you wanted. Remember, the process should be fun and you should make a friend in the builder. Also, you should learn a lot! If this is your first custom bike, you will learn about yourself, your priorities, and gain a better understanding of the sport in general. Even though the waiting is hard, it’s worth it.